Johnny Flynn (also known as Joe Flynn, born 14 March 1983 in Cape Town) is a British acoustic singer-songwriter and actor. 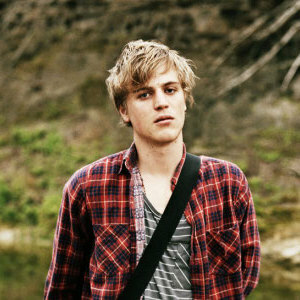 He has also performed and recorded with the English Folk-Rock act Johnny Flynn & The Sussex Wit. Flynn released his debut album, A Larum, in 2008. This was followed by the Sweet William EP in 2009 and his second album 'Been Listening' in 2010. 'Been Listening' includes the singles 'Kentucky Pill', 'Barnacled Warship' and 'The Water', which features a duet with Laura Marling. Flynn released his debut album, A Larum, in 2008. This was followed by the Sweet William EP in 2009 and his second album 'Been Listening' in 2010. 'Been Listening' includes the singles 'Kentucky Pill', 'Barnacled Warship' and 'The Water', which features a duet with Laura Marling.